Dr. Mortensen has been practicing family medicine in Cumberland County since 1985, when she and her late husband, Dr. Edward Nemore established Cumberland Family Medicine Associates in Port Norris, New Jersey. 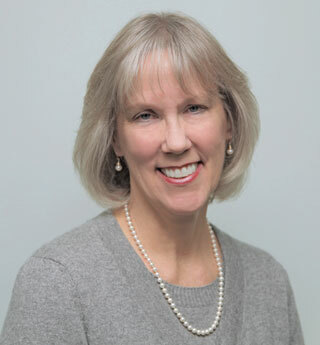 Dr. Mortensen, who grew up in Des Moines, Iowa, attended Grand View College, earned a Bachelor of Science at University of Iowa and her medical degree at Des Moines University College of Osteopathic Medicine in 1980. She trained as a resident in Family Practice at the Temple University School of Medicine. Dr. Mortensen’s professional interests include the promotion of well health life styles, disease prevention, women’s health issues (including regular paps) and geriatrics. Dr. Mortensen cares for the elderly in the scope of her geriatric practice, providing well health care specific to the elderly, and coordination of care for complex medical problems, medication management, and end of life care. Our family medicine practice encompasses the care of chronic diseases such as diabetes, high blood pressure, heart disease, high cholesterol, arthritis, depression, anxiety and gastrointestinal disease. Dr. Mortensen enjoys seeing patients of all ages and especially the elderly. Her experience and commitment to family medicine is recognized in having become a Fellow of the American Academy of Family Practice (FAAFP). An important aspect of her practice at CFMA is her focus on the care of older patients, and she has received the Certificate of Added Qualification in Geriatric Medicine. Dr Mortensen is the Medical Director at Genesis HealthCare Millville Center and is a member of the teaching faculty in the family practice residency program of Inspira Health Network. Dr. Mortensen has been practicing Family Medicine in Cumberland County, New Jersey since 1985.